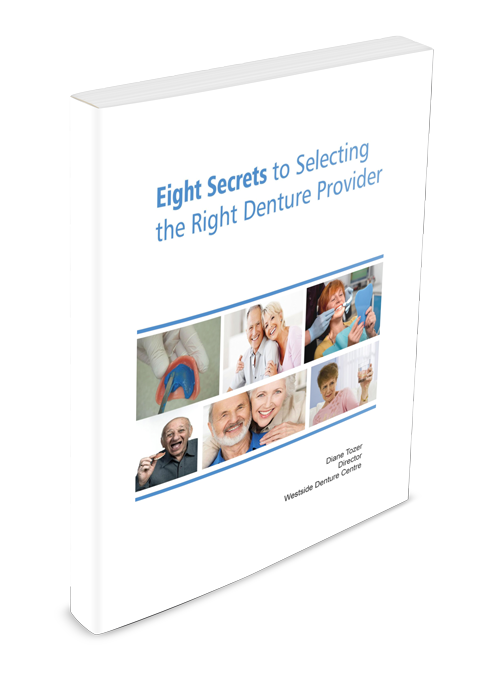 Download Your Copy of 8 Secrets to Choosing a Denture Provider. Discover the Questions You Need to Ask. Make an informed choice choosing your denture provider. From "Try Before You Buy" to their experience in practice and technology, learn all you need to know when choosing your provider. Make an informed choice choosing your denture provider. Download your copy of this free guide by entering your details below. Also includes a free subscription to our informative email newsletter.